Darcy Hennesey Turenne is the most awarded and prolific female action-sports filmmaker of all time. 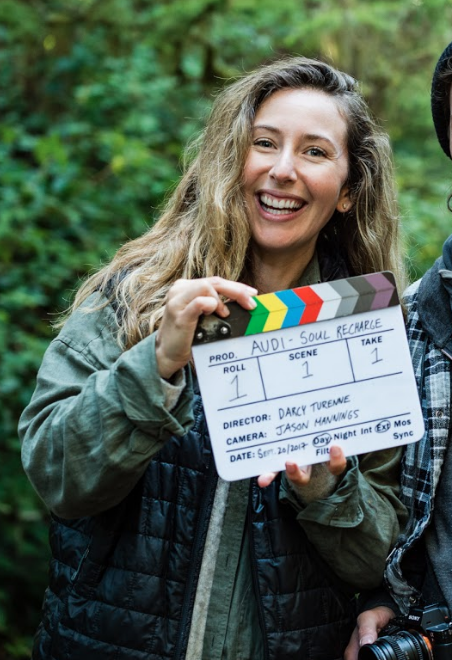 Her first feature-length film,“TheMoment”, - a documentary about they inception of extreme mountain biking - was the closing film of the 2017 Whistler Film Festival, sold out over 100 screenings worldwide, and debuted at #3 on the US iTunes Independant Film charts. Andrea Wing is a director and cinematographer based in Squamish, BC. Her directing approach has led her to work with international brands, producing global commercial content. As the former manager of film creative at lululemon and current director of video + content at outdoor agency Origin, she has worked with high-end commercial clients for over a decade. Andrea also continues to create work outside of the commercial space, telling stories that celebrate our natural environment. Her work has brought her to the Democratic Republic of Congo, Kenya, Australia, Austria and all over the good ol' US of A.